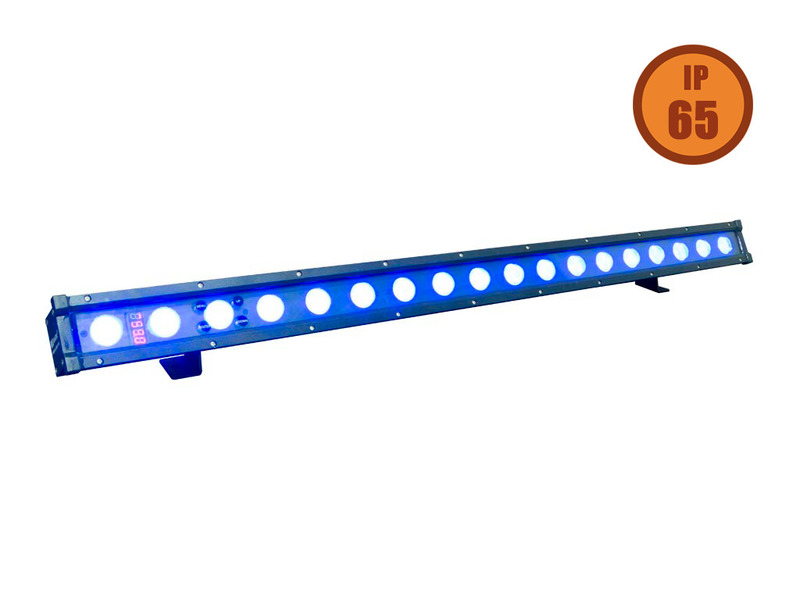 MBAR 381 IP is a lighting bar composed of 18 LEDs (3 in 1) with 3W each one. The posibility of make the mix from a single light point, allows to produce a colour with high uniformity when it lights up stages, walls or specific areas. MBAR 381 IP uses casting aluminum housing, designed in a fashion form. 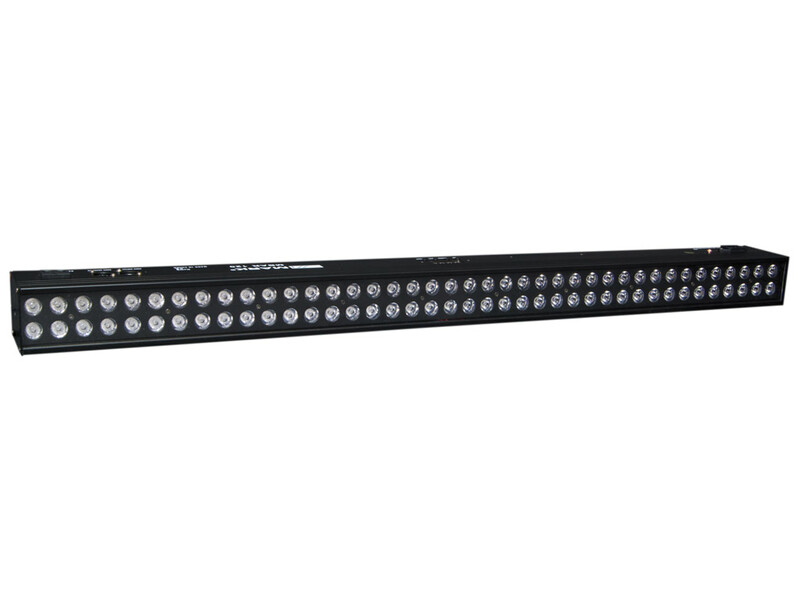 It adopts high power 3-in-1 LED, which refers to single LED is made of R,G,B 3-in-1 LED, and long life span, low consumption, good color mixing effect and high brightness are the most prominent features. Each kind of LED can be independently dimmed. The built-in programs include dimming stroble, gradual change and fading. It uses power switch, performs low weight and consumption, stable capability and long life. 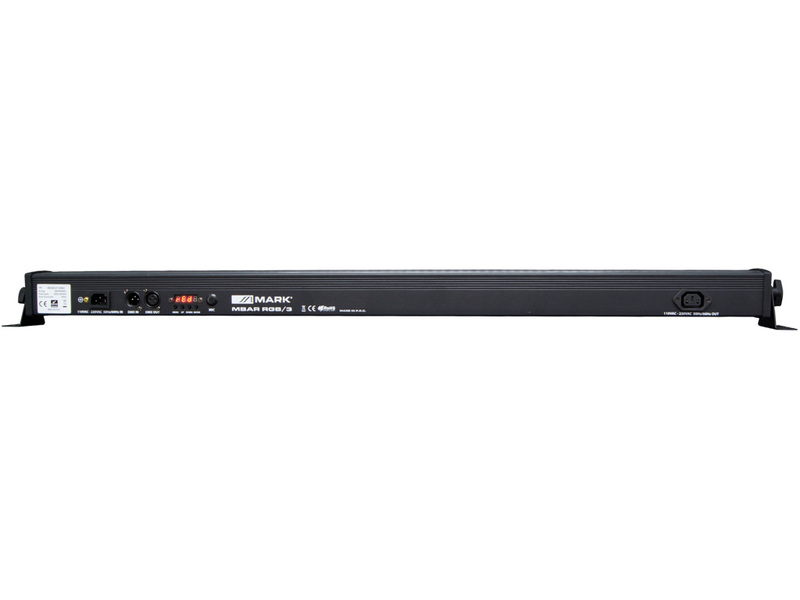 Standard DMX 512 signal is requested. There are available several working modes: DMX (with severals programs), DMX and Master/Slave. Built-in temperature control measurement function. 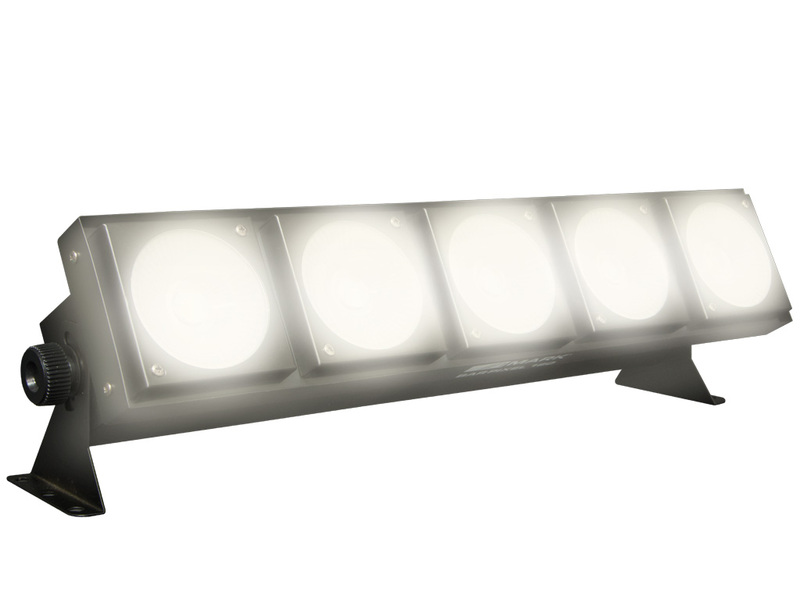 when LED work overheated, the system reduces LED output power. 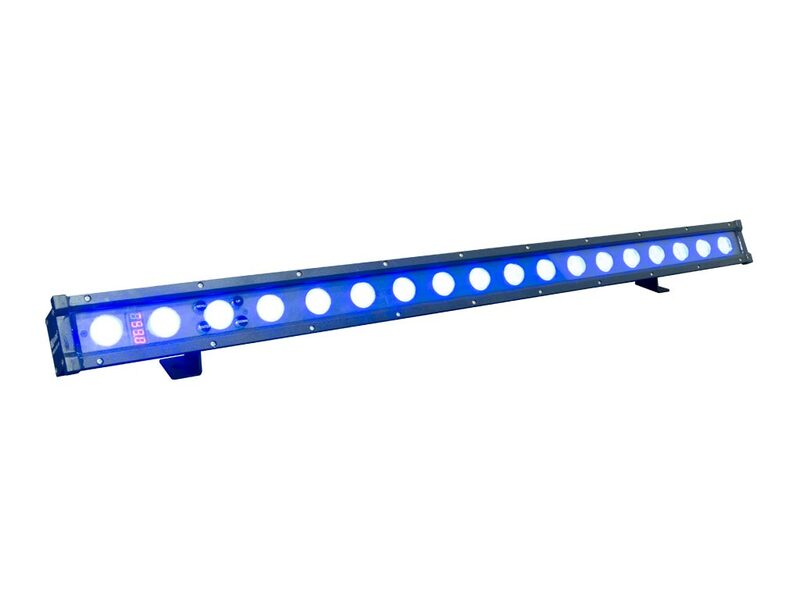 MBAR 381 IP MBAR 381 IP uses casting aluminum housing, designed in a fashion form. 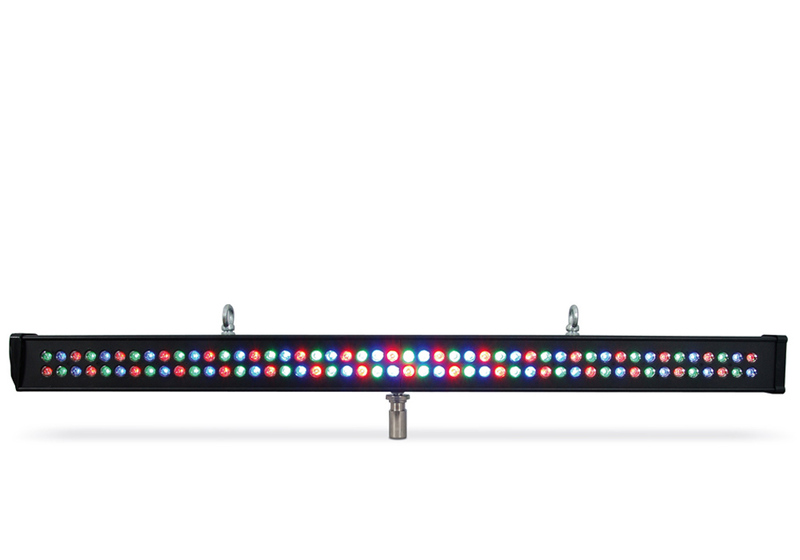 It adopts high power 3-in-1 LED, which refers to single LED is made of R,G,B 3-in-1 LED, and long life span, low consumption, good color mixing effect and high brightness are the most prominent features. Each kind of LED can be independently dimmed. The built-in programs include dimming stroble, gradual change and fading. It uses power switch, performs low weight and consumption, stable capability and long life. Standard DMX 512 signal is requested. There are available several working modes: DMX (with severals programs), DMX and Master/Slave.